Shark Island was our lunch time stop. It lies just off Rose Bay & Point Piper. The Aboriginals called this small island Boambilly. It was named Shark Island due to its shape. It boasts beautiful views of the Harbour Bridge and Opera House. Shark Island Light is a pile lighthouse off the northern tip of the island built in 1913. Shark Island was used as a quarantine station & naval depot from 1880 until 1975. It is now used exclusively as a recreation reserve. Thanks for taking us to these special islands Brona. I love that photo of the bridge with the Manly ferry, and the second last one with the sandstone jutting out and framing harbour side mansions. So Sydney. It's a pity you can only visit these islands on special occasions. It would make for a wonderful picnic location and people would be happy to pay a modest fee to enjoy this wonderful location. Thanks for sharing. This is about as close to Australia as I will ever get, I think. 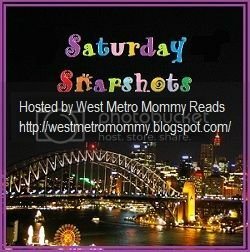 Thank you so much for sharing these cool photos of Shark Island and Sydney with us. Oh, I love islands, and the shots looking at the view from the islands were fabulous. Gave me the feeling that I was there. Gorgeous photos of a beautiful place. I'd love to stroll along the shores of these islands, breathing in the salt air and enjoying the views. What a memorable outing that must have been! This week my Saturday Snapshot photos are of MOUNT RAINIER. Oh I want to go there! It looks amazing! I also really like the photo with the stone jutting out. Makes a really good frame. Our goal is to one day visit Australia ... and Sydney is on the itinerary! Beautiful shots!